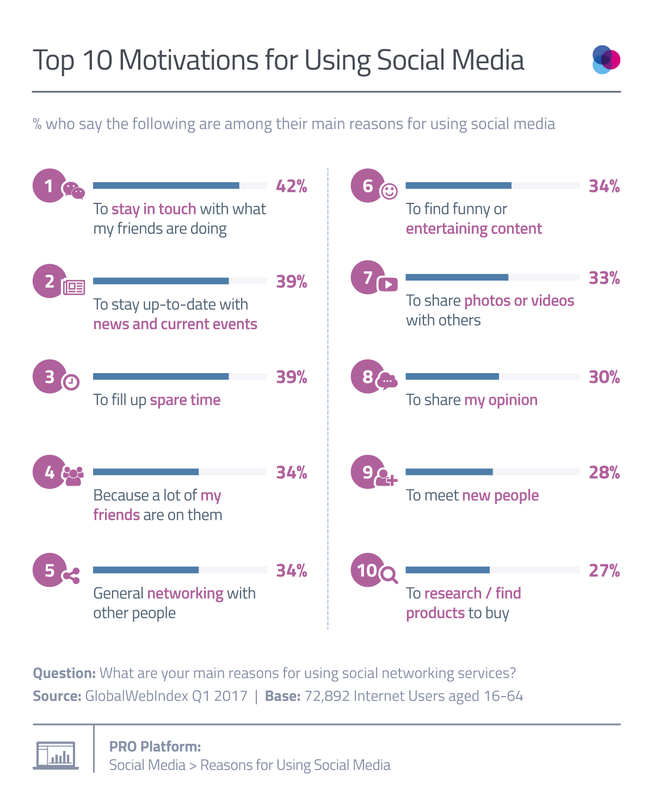 GlobalWebIndex’s social report shows 40 percent of the surveyed internet users are most likely to use social media platforms to keep in touch with friends, making this the top reason for social media use globally. Among 16 to 24 year-olds, the key reason for using social media is not to keep in touch, but rather to fill up spare time. Among 25 to 34 year-olds, staying in touch with friends proves more important, while among 34 to 44 year-olds, it comes down to staying up-to-date with news and current affairs. Take a look at this chart for more insights.